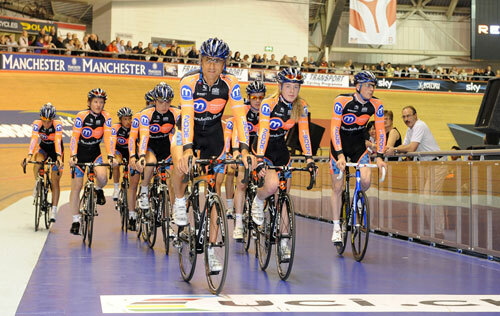 The Motorpoint-Marshalls Pasta Racing Team, formerly CandiTv-Marshalls Pasta, revealed their new colours and line-up for the coming season during Saturday night’s Revolution track meeting in Manchester. The main sponsors are Motorpoint.co.uk, who are Britain’s biggest car supermarket and are joined by Marshalls Pasta, part of Marshalls Food Ltd based in Scotland. Other sponsors include CandiTV, Node4, Continental and Science In Sport. 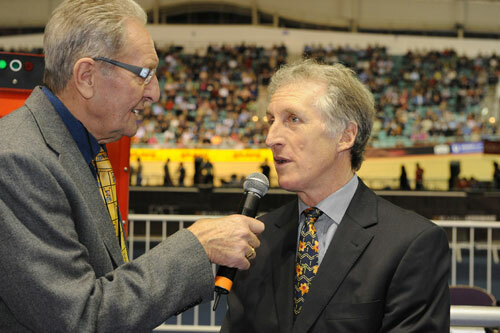 The team will ride Opera Leonardo bikes for 2010. The ten-man team will challenge for the Premier Calendar, Tour Series, Tour of Britain, Tour of Ireland and a number of international and continental events. 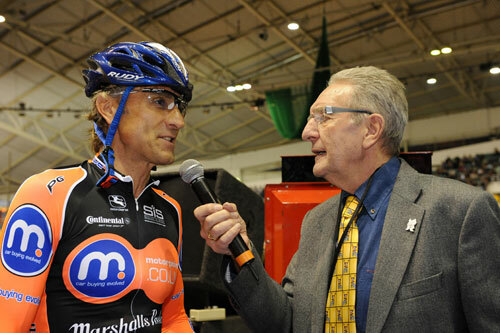 Former Halfords Bikehut team manager Keith Lambert will take the helm for 2010. Former CandiTv-Marshalls Pasta rider Russell Downing, who won the Tour of Ireland for the squad in 2009, has left to join Team Sky for 2010. The team had only just returned from a ten-day training camp in Mallorca on Friday afternoon before making their appearance on Saturday night. 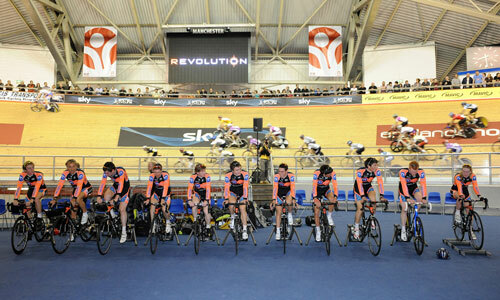 Clancy, Tennant and Williams were in action during the Revolution race programme, with Clancy and Tennant winning the Madison 1km TT.